Field trips are a great tool for ministries – whether those ministries are church youth groups, nonprofit organizations or Christian school classes. Regardless of which type, they offer a unique opportunity for the youth to learn, connect with their peers and have an impact on the world around them. Before these trips can begin, however, there are certain protocols to follow to ensure the safety of all participants and reduce the risk of liability to your organization. First, make sure each student or youth participant has a properly completed liability release form. The release must provide full details of any risks involved in participation and should always be reviewed by legal advisors to ensure it addresses the necessary issues for the activity. Release forms are acceptable both in paper or electronic form, but they must always be fully completed and fully documented. Having a single adult to supervise a group on a field trip is not sufficient, so proper adult-to-student ratios must support full supervision at all times. All chaperones must undergo full vetting and have proper background checks performed before placement in supervisory roles over minors. Further, parents must have access to a full list of the volunteers in charge of their children during the field trip. All chaperones must understand school or organizational rules and expectations and follow them to the letter. 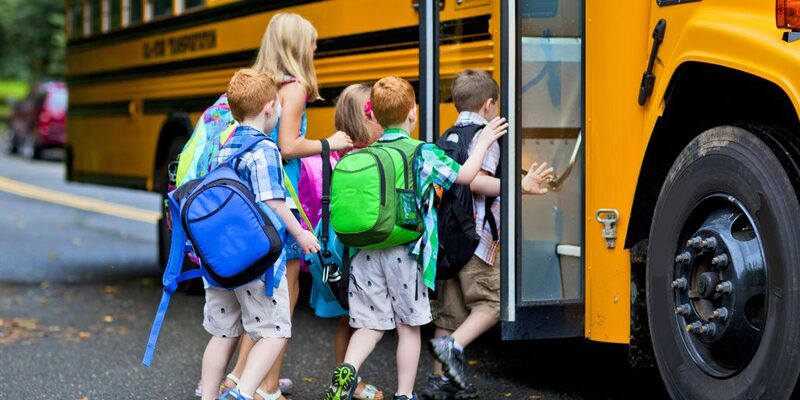 Most states make it a requirement that students be transported in school buses rather than privately owned vehicles or 15 passenger vans, both of which pose a number of liabilities. If the school or organization does not own its own fleet of vehicles, it is advisable to charter a bus company to safely transport all participants. Accidents are not an unusual occurrence during a field trip, even when everyone exercises caution. First aid kits must always be accessible for use in case of emergency to treat injuries. In addition, chaperones must record details regarding any injuries that occur as well as their method of treatment. In order to avoid liability, fully document even the smallest cases of injury or emergency. At Beacon Insurance Agency, we focus our full attention on the insurance needs of churches, Christian schools and nonprofit organizations along the Gulf Coast. We know that safety and liability risks are a regular concern for groups participating in field trips, so we encourage our clients to take advantage of our partnership with GuideOne Insurance and the exclusive access it provides to use safety resources that offer guidance on the many risks they face in whatever mission field they serve. Make your next field trip a safe and successful one! Call Beacon Insurance Agency to learn more about the insurance coverage and many safety resources we offer today!